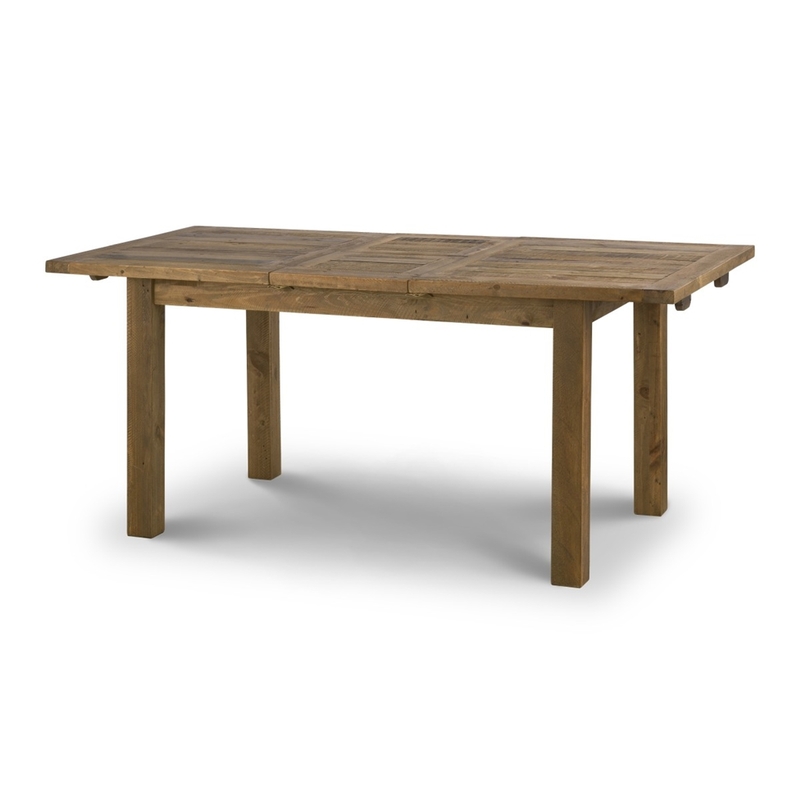 A Rustic Reclaimed Pine Extending Dining Table with a thick 40mm top, manufactured using solid reclaimed pine. The 40cm butterfly extension system is stored within the table when not in use. The rustic and vintage look is enhanced by nail holes and saw marks, also making each piece unique.